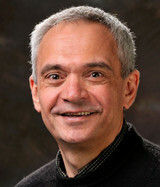 Tony Pantev received his Ph.D. in 1994 from the University of Pennsylvania. He was a C.L.E. Moore Instructor at MIT, a Sloan Research Fellow, and has held visiting positions at the Isaac Newton Institute in Cambridge, England, the Centro de Investigación en Matemáticas in Guanajuato, Mexico, Ohio State University and the Institute for Advanced Studies in Princeton. He is a professor at the mathematics department of the University of Pennsylvania which he joined in 1997. Pantev’s research interests include algebraic and differential geometry, Hodge theory, and mathematical physics. Together with Katzarkov, Toen, and Simpson he has obtained fundamental results in non-abelian Hodge theory, that led to the proof of the Shafarevich conjecture for varieties with linear fundamental groups. Together with Donagi he proved Langlands duality for Hitchin systems, a result that applies directly to mirror symmetry. Elaborating on this work, Pantev, jointly with Arinkin, and Block proved the existence of quantization for Fourier-Mukai transforms for general analytic manifolds. In a different direction, Pantev together with Katzarkov and Kontsevich developed the foundations of non-commutative geometry and non-commutative Hodge theory and studied the non-commutative aspects of the mirror correspondence. In an ongoing project with Toen, Vaquie, and Vezzosi, Pantev is exploring a major conceptual advance in derived geometry which was realized through the new notion of a shifted symplectic and Poisson structures. Pantev has published over 50 peer-reviewed articles, one book, and has edited 3 proceedings volumes. He has supervised 14 PhD dissertations, 8 MSc students, and has mentored 6 postdocs. organized over 25 conferences, workshops, and schools on algebraic geometry, mirror symmetry, and mathematical physics. He serves on the editorial board of Advances in Mathematics, European Journal of Mathematics, and Research in Mathematical Sciences. 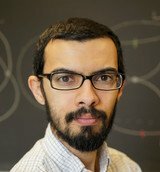 Mohammed Abouzaid studies geometry and topology, and has been associate professor of mathematics at Columbia University since 2012. He received his Ph.D. in 2007 from the University of Chicago, and was subsequently a Research Fellow of the Clay Mathematics Institute from 2007 to 2012, at which time he was also a postdoctoral fellow at MIT. In 2012-2013 he was a visiting associate professor at the Simons Center for Geometry and Physics (Stony Brook University). Abouzaid’s research is currently focused on algebraic structure in Floer theory, with the goal of understanding mirror symmetry and the interaction between symplectic and differential topology. He was plenary speaker at the 2009 Australian Mathematics Society annual meeting, was the 2014 Adem Memorial lecturer at Cinvestav (Mexico City), and was an invited speaker at the Geometry and Topology sections of the 2014 International Congress of Mathematicians. Denis Auroux’s research concerns symplectic geometry and its applications to mirror symmetry. While his early work primarily concerned the topology of symplectic 4-manifolds, over the past decade Auroux has obtained pioneering results on homological mirror symmetry outside of the Calabi-Yau setting (for Fano varieties, open Riemann surfaces, etc. ), and developed an extension of the SYZ approach to non-Calabi-Yau spaces. 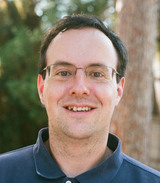 After obtaining his PhD in 1999 from Ecole Polytechnique (France), Auroux was employed as Chargé de Recherche at CNRS and CLE Moore Instructor at MIT, before joining the faculty at MIT in 2002 (as Assistant Professor from 2002 to 2004, and as Associate Professor from 2004 to 2009, with tenure starting in 2006). He then moved to UC Berkeley as a Full Professor in 2009. Auroux has published over 30 peer-reviewed articles, including several in top journals, and given 260 invited presentations about his work. He received an Alfred P. Sloan Research Fellowship in 2005, was an invited speaker at the 2010 International Congress of Mathematicians, and in 2014 he was one of the two inaugural recipients of the Poincaré Chair at IHP. He has supervised 10 PhD dissertations, won teaching awards at MIT and Berkeley, and participated in the organization of over 20 workshops and conferences in symplectic geometry and mirror symmetry. Ron Donagi is an American mathematical physicist, known for his work in algebraic geometry and string theory. Born in Israel in 1956, Donagi received a B.Sc. degree in mathematics from Tel Aviv University in 1973 and a Ph.D. from Harvard in 1977, under the direction of Phillip Griffiths. Donagi is a professor in both the department of mathematics and the department of physics and astronomy at the University of Pennsylvania. He has guided 22 graduate students and 12 post-docs. Over the years he has held Sloan, Gardner, Research Foundation, Lady Davis and Simons Fellowships, and has visited IAS, Harvard, MPI, MSRI,, KITP, Orsay, the Poincare Center, Hebrew University, RIMS Kyoto, and KITPC, among many others. He has held NSF FRG and RTG grants, and is a Fellow of the American Mathematical Society. He has organized numerous conferences and founded the String/Math conference series, which has become the annual focal point of the subject. He is married to Firouzeh and is father of Nathan and Sara. Donagi has authored over a hundred research articles and seven books. His best known works in algebraic geometry are his proof of the generic Torelli theorem for hypersurfaces, the study of Prym varieties and the Schottky problem, and the foundational work on integrable systems, spectral covers, and integrability of Hitchin’s system. The latter led to important physics applications, in work with Witten on integrability in quantum field theory, and in a series of works on F-theory and its duality with heterotic strings. It also led to work with Pantev on the geometric Langlands conjecture and its connections with mirror symmetry. Donagi is also known for a series of works in string phenomenology, deriving approximations of the Standard Model of particle physics from compactifications of string theory. This culminated in the first known globally consistent string model yielding the exact particle spectrum of the Standard Model. In current work with Witten he is studying the moduli of super Riemann surfaces and their relevance to the foundations of perturbative string theory. Kenji Fukaya became a permanent member of the Simons Center in April 2013. He received his BA in Mathematics in 1981 and his PhD in 1986, both from the University of Tokyo. His thesis was entitled A boundary of the set of Riemannian manifolds with bounded curvatures and diameters. He was at the University of Tokyo from 1983 through 1993, first as a research assistant and then as an Associate Professor. He was a Professor of Mathematics at Kyoto University from 1994 until coming to the Simons Center. Fukaya’s recent work has been in symplectic geometry and in particular has centered around the study of Lagrangian submanifolds and the Floer homology related to intersections of these submanifolds. 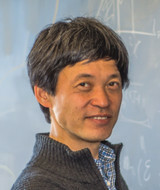 Fukaya developed and has studied extensively a theory in which the Lagrangian submanifolds of a given symplectic manifold are the objects of a generalized category, now called the Fukaya category, and the morphisms are the Floer homology groups. This work is closely related to Kontsevich’s homological mirror symmetry conjecture. His earlier work was in Riemannian geometry and especially dealt with collapsing results in this context. Fukaya was awarded the Japan Academy Award in 2003, Asahi prize in 2009, and Fujiwara prize in 2012. He is a member of the Japanese National Academy of Sciences. Ludmil Katzarkov was born in Ruse, Bulgaria in 1961. He got his MSc from Moscow State University in 1987 and PhD from the University Pennsylvania in 1995. He is a full professor at University of Miami and University of Vienna. Katzarkov is an algebraic geometer known for his fundamental contributions to the topological study of Kaehler spaces, Hodge theory, and mirror symmetry. Katzarkov introduced the non-abelian Hodge theory approach to Shafarevich’s uniformization conjecture and proved this conjecture for smooth projective varieties with virtually nilpotent fundamental groups. Later together with Eyssidieux, Pantev and Ramachandran, Katzarkov proved the conjecture for smooth projective varieties with virtually linear fundamental groups. Katzarkov has also done important foundational work in symplectic topology – together with collaborators he constructed symplectic Lefschetz fibrations with arbitrary fundamental groups, and together with Auroux and Donaldson developed Lefschetz theory for symplectic manifolds. 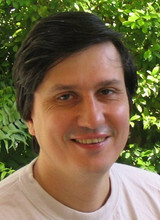 For several years Katzarkov has been a leader in the research on mirror symmetry. Together with Auroux and Orlov, Katzarkov proved the Homological Mirror Symmetry conjecture for a number of toric surfaces and their non-commutative deformations. Also in a series of papers with Kapustin, Orlov, Gross, and Ruddat, Katzarkov studied Homological Mirror Symmetry for manifolds of general type. Another major direction in Katzarkov’s research is his work with Kontsevich and Pantev developing non-commutative geometry, non-commutative Hodge theory, and a non-commutative categorical approach to mirror symmetry. Katzarkov has been a Sloan research fellow, Clay Fellow, and a Simons fellow. He has received an NSF CAREER award and ERC Advanced grant. He has organized more than 30 conferences, schools, and workshops, and has mentored and attracted many young people to research in geometry, symplectic topology, and mirror symmetry. Maxim Kontsevich was born in Khimki, Russia in 1964. 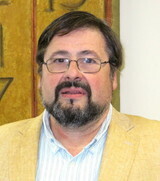 He got his MSc from Moscow State University in 1985 and his PhD from Bonn University in 1992. Kontsevich was a full professor at UC Berkeley until 1995 when he moved to France and became a permanent professor at the IHES. He is a holder of the AXA Chair for mathematics at the IHES and also holds a Distiguished Professorship at the University of Miami. Kontsevich works on the geometric aspects of mathematical physics, most notably on knot theory, quantization, and mirror symmetry. His ideas have influenced a variety of fields in mathematics and physics. In his work Kontsevich has introduced new research subjects and has proven ground breaking results providing solutions to long standing open problems. These include his proof of Witten’s conjecture, the development of the theory of stable maps, the construction of deformation quantization of Poisson manifolds, the introduction of Homological Mirror Symmetry, the development of non-commutative Hodge theory, the theory of motivic Donaldson-Thomas invariants and wall crossing, and the structure theory of rings of periods and motivic integration. Many of these topics play a central role in modern mathematics. Kontsevich’s work was recognized by the EMS Prize (1992), the Henri Poincaré Prize (1997), the Fields Medal (1998), the Crafoord Prize (2008), the Shaw Prize (2012), the Fundamental Physics Prize (2012), and the Breakthrough Prize in Mathematics (2014). 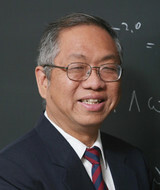 Born in Malaysia in 1962, Bong Lian completed his PhD in physics at Yale University under the direction of G. Zuckerman in 1991. 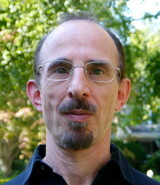 He joined the permanent faculty at Brandeis University in 1995, and has remained there since. Between 1995 and 2013, he had had visiting research positions at numerous places, including the National University of Taiwan, Harvard University, and Tsinghua University. Lian received a J.S. Guggenheim Fellowship in 2003. He was awarded a Chern Prize at the ICCM in Taipei in 2013, for his “influential and fundamental contributions in mathematical physics, in particular in the theory of vertex algebras and mirror symmetry.” He has also been co-Director, since 2014, of the Tsinghua Mathcamp, a summer outreach program launched by him and Yau for mathematically talented teenagers in China. Since 2008, Lian has been the President of the International Science Foundation of Cambridge, a non-profit whose stated mission is “to provide financial and logistical support to scholars and universities, to promote basic research and education in mathematical sciences, especially in the Far East.” Over the last 20 years, he has mentored a number of postdocs and PhD students. His research has been supported by an NSF Focused Research Grant since 2009. Published in well over 60 papers over 25 years, Lian’s mathematical work lies in the interface between representation theory, Calabi-Yau geometry, and string theory. Beginning in the late 80’s, Lian, jointly with Zuckerman, developed the theory of semi-infinite cohomology and applied it to problems in string theory. In 1994, he constructed a new invariant (now known as the Lian- Zuckerman algebra) of a topological vertex algebra, and conjectured the first example of a G algebra in vertex algebra theory. The invariant has later inspired a new construction of quantum groups by I. Frenkel and A. Zeitlin, as semi-infinite cohomology of braided vertex algebras, and led to a more recent discovery of new relationships between Courant algebroids, A-algebras, operads, and deformation theory of BV algebras. In 2010, he and his students Linshaw and Song developed important applications of vertex algebras in equivariant topology. Lian’s work in CY geometry and mirror symmetry began in early 90’s. Using a characteristic p version of higher order Schwarzian equations, Lian and Yau gave an elementary proof that the instanton formula of Candelas et al implies Clemens’s divisibility conjecture for the quintic threefold, for infinitely many degrees. In 1996, Lian (jointly with Hosono and Yau) answered the so-called Large Complex Structure Limit problem in the affirmative in many important cases. Around the same year, they announced their hyperplane conjecture, which gives a general formula for period integrals for a large class of CY manifolds, extending the formula of Candelas et al. Soon after, Lian, Liu and Yau (independently by Givental) gave a proof of the counting formula. In 2003, inspired by mirror symmetry, Lian (jointly with Hosono, Oguiso and Yau) discovered an explicit counting formula for Fourier-Mukai partners, and settled an old problem of Shioda on abelian and K3 surfaces. Between 2009 and 2014, Lian (jointly with Bloch, Chen, Huang, Song, Srinivas, Yau, and Zhu) developed an entirely new approach to study the so-called Riemann-Hilbert problem for period integrals of CY manifolds, and extended it to general type manifolds. The approach leads to an explicit description of differential systems for period integrals with many applications. In particular, he answered an old question in physics on the completeness of Picard-Fuchs systems, and constructed new differential zeros of hypergeometric functions. Born in Canton, China, in 1949, S.-T. Yau grew up in Hong Kong, and studied in the Chinese University of Hong Kong from 1966 to 1969. He did his PhD at UC Berkeley from 1969 to 1971, as a student of S.S. Chern. He spent a year as a postdoc at the Institute for Advanced Study in Princeton, and a year as assistant professor at SUNY at Stony Brook. He joined the faculty at Stanford in 1973. On a Sloan Fellowship, he spent a semester at the Courant Institute in 1975. He visited UCLA the following year, and was offered a professorship at UC Berkeley in 1977. He was there for a year, before returning to Stanford. He was a plenary speaker at the 1978 ICM in Helsinki. The following year, he became a faculty member at the IAS in Princeton. He moved to UCSD in 1984. 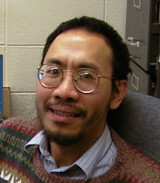 Yau came to Harvard in 1987, and was appointed the Higgins Professor of Mathematics in 1997. He has been at Harvard ever since. Yau has received numerous prestigious awards and honors throughout his career. He was named a California Scientist of the Year in 1979. In 1981, he received a Oswald Veblen Prize in Geometry and a John J. Carty Award for the Advancement of Science, and was elected a member of the US National Academy of Sciences. In 1982, he received a Fields Medal for “his contributions to partial differential equations, to the Calabi conjecture in algebraic geometry, to the positive mass conjecture of general relativity theory, and to real and complex MongeAmpre equations”. He was named Science Digest, America’s 100 Brightest Scientists under 40, in 1984. In 1991, he received a Humboldt Research Award from the Alexander von Humboldt Foundation in Germany. He was awarded a Crafoord Prize in 1994, a US National Medal of Science in 1997, and a China International Scientific and Technological Cooperation Award, for “his outstanding contribution to PRC in aspects of making progress in sciences and technology, training researchers” in 2003. In 2010, he received a Wolf Prize in Mathematics, for “his work in geometric analysis and mathematical physics”. Yau has also received a number of research fellowships, which include a Sloan Fellowship in 1975-1976, a Guggenheim Fellowship in 1982, and a MacArthur Fellowship in 1984-1985. Yau’s research interests include differential and algebraic geometry, topology, and mathematical physics. As a graduate student, he started to work on geometry of manifolds with negative curvature. He later became interested in developing the subject of geometric analysis, and applying the theory of nonlinear partial differential equations to solve problems in geometry, topology, and physics. His work in this direction include constructions of minimal submanifolds, harmonic maps, and canonical metrics on manifolds. The most notable, and probably the most influential of this, was his solution of the Calabi conjecture on Ricci flat metrics, and the existence of Kahler-Einstein metrics. He has also succeeded in applying his theory to solve a number of outstanding conjectures in algebraic geometry, including Chern number inequalities, and the rigidity of complex structures of complex projective spaces. Yau’s solution to the Calabi conjecture has been remarkably influential in mathematical physics over the last 30 years, through the creation of the theory of Calabi-Yau manifolds, a theory central to mirror symmetry. He and a team of outstanding mathematicians trained by him, have developed many important tools and concepts in CY geometry and mirror symmetry, which have led to significant progress in deformation theory, and on outstanding problems in enumerative geometry. Lian, Yau and his postdocs have developed a systematic approach to study and compute period integrals of CY and general type manifolds. Lian, Liu and Yau (independently by Givental) gave a proof of the counting formula of Candelas et al for worldsheet instantons on the quintic threefold. In the course of understanding mirror symmetry, Strominger, Yau, and Zaslow proposed a new geometric construction of mirror symmetry, now known as the SYZ construction. This has inspired a rapid development in CY geometry over the last two decades. In addition to CY geometry and mirror symmetry, Yau has done influential work on nonlinear partial differential equations, generalized geometry, Kahler geometry, and general relativity. His proof of positive mass conjecture is a widely regarded as a cornerstone in the classical theory of general relativity. In addition to publishing well over 350 research papers, Yau has trained more than 60 PhD students in a broad range of fields, and mentored dozens of postdoctoral fellows over the last 40 years.